We work with farms that produce small tea in 6 countries across Asia because we believe small producers of less than 15 acres are better for people, places, and planet than the larger producers who supply 99% of all the tea sold in the West including the teas sold as rare, fairly traded or beneficial to the environment. As with provenance, we are the first tea company in the world to sell tea exclusively from small farms. Walking down the quiet little street to the shop, you feel as if you are in a charmed place. The day was misty and the exterior looked, well, like a postcard. It was exactly as I had imagined. The small shop is tidy, with stunning Asian tea ware and a wall of their beautifully packaged teas. There was only one other couple in the shop, and they appeared to be tasting and discussing with the woman on staff. There also a back area for prep. When I walked in I noticed the salesperson was busy with the couple, so I started perusing the tea canisters. They also have a clever Tea Postcard program where you can pick the tea postcard (filled with a small amount of tea), write a message and send it anywhere in the world. I love this idea. In the US, the salespeople are quick to be overly cheerful and helpful. I often find it annoying because I like to take my time and not get (cheerfully) shouted at. I was happy to relax and browse in the shop. Once the couple left, the salesperson went to the back, and was chatting with someone there. I did have a few questions and had to wait quite awhile until she came back. When she did we had a nice conversation about the teas, and I asked what she'd recommend (special oolongs), and what blends they had created just for the store. She told me that if I purchased a tea, I could get a tasting for free. 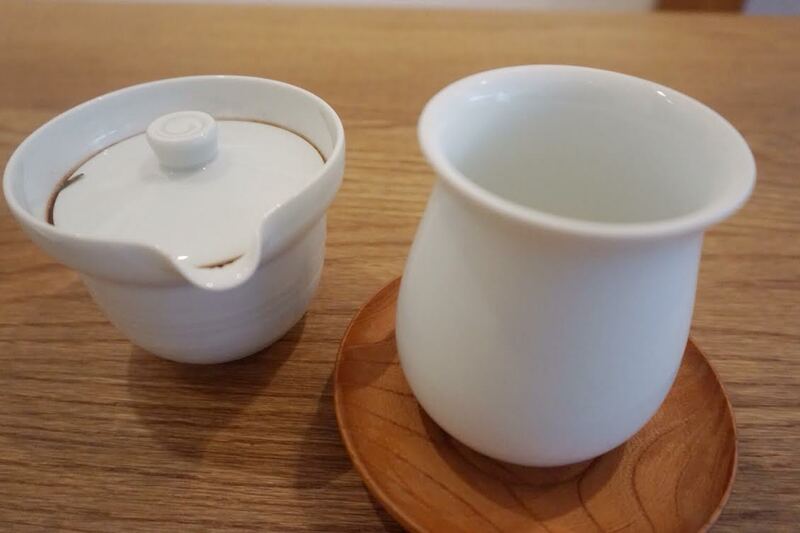 I knew I was going to take some teas home, so I selected an oolong that looked interesting, and was happy to taste it. While I was sipping my tea I sat at the tea bar and admired the shop. I was left alone to contemplate my tea, which was quite peaceful. I enjoyed sipping and looking out the window to admire the rain-reflected cobblestones. This would have been a very pleasant experience if the employees in the back hadn't started their conversation. They started mocking the previous people in the store, poking fun at their lack of tea knowledge. I was completely taken by surprise. They went on about it for quite some time. I was wondering what they'd say about me when I left. I've noticed a good amount of online tea bullying lately, and the conversation in the shop saddened me. I just don't understand why there are so many people in the tea world that think so much of themselves that they have to belittle others. For me, tea is about the experience just as much as the quality and flavor. Just because someone doesn't know as much as you, it doesn't mean they don't have as much enthusiasm or interest in the subject. I'm sure the employees in the shop were very knowledgeable and experienced. But clearly they don't care about their customers. After awhile someone came out and I asked to pay for my tea. He rung up my sale and bagged my tea without saying a word. I started second-guessing myself until I realized that no matter where you are, there is no reason for poking fun at others. It's not only unprofessional, but it's cruel. I have very mixed emotions about my visit. 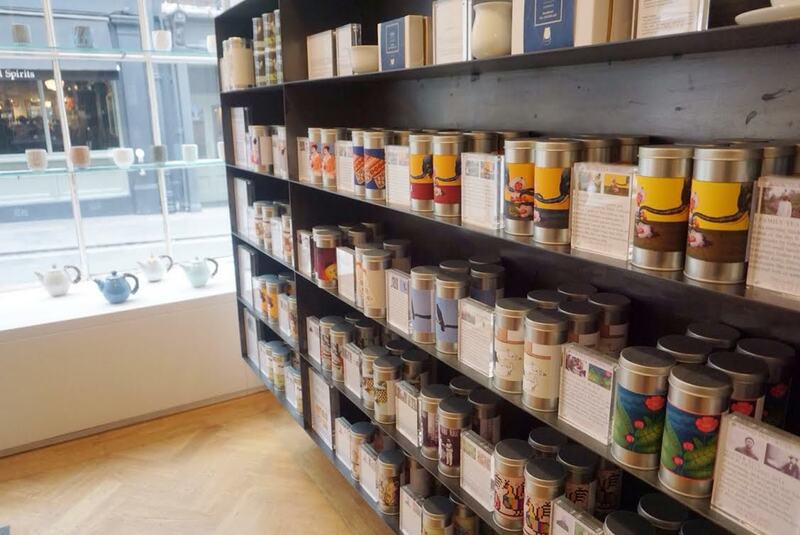 I was so taken with the store and their high-quality teas that I still don't know what to think about my experience. As much as I don't want to promote a place with such a negative attitude towards its customers, I'd recommend the store for the teas and quaint atmosphere. I also assume (and hope) I had a unique experience. Perhaps I'll say 'proceed with caution'. I have one more tea shop to cover, so next week will be the final installment of the Tea in London series. I guess this means I need to go back soon! 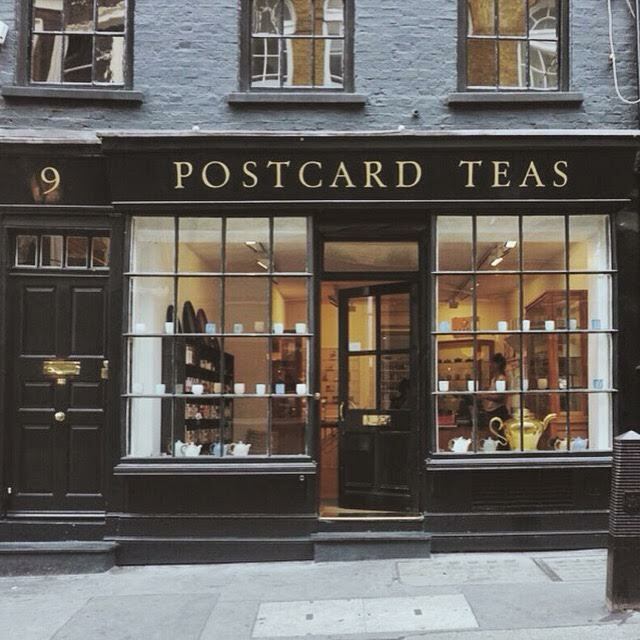 I've heard many good things about Postcard Teas and their teas but it is a shame that their staff behaved that way. Working in retail can be frustrating and we all vent from time to time but there is a time and place for everything. That conversation should have been reserved for when they were behind closed doors or at the very least when their weren't any customers in the shop. Having worked in tea stores for the last few years this story really hit home for me. I think we are educators first and sales people second. If a customer doesn't know much about tea and leaves the shop the same way it is our failing and not theirs. Thanks for your thoughts, Nicole! I've worked in retail before and I know how hard it can be. But agreed, there is a time and a place for it. Thanks! In all my experience I'd say that is a one off. They are normally very helpful to those who don't know much. I didn't when I first started going. I go a lot and have never been served by a female employee so I wonder if she is the issue. What a shame as it's one of my favourite places to buy tea. I'm guessing it was just perhaps a bad day for the employee? Either way, I will definitely give the shop another try next time I am in London. I am enjoying the tea I purchased at Postcard. Thanks Tim, I appreciate the attention you are giving to my experience! I will absolutely be back next time I am in London. Hopefully that will be soon, since I didn't have nearly enough time there.